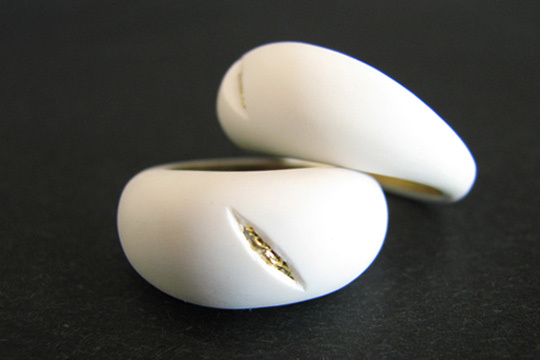 Oroko rings represent the pass of time and reveal its owner life experience. 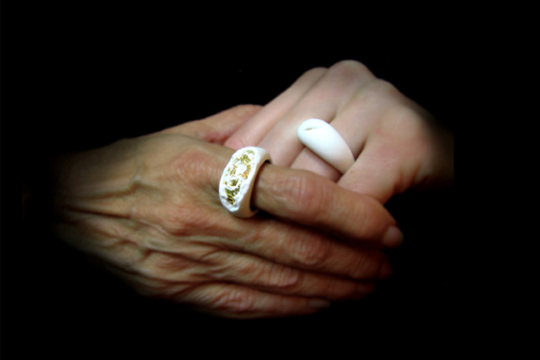 Rings often have travelled a whole life time before being passed on, yet fail to expose it. 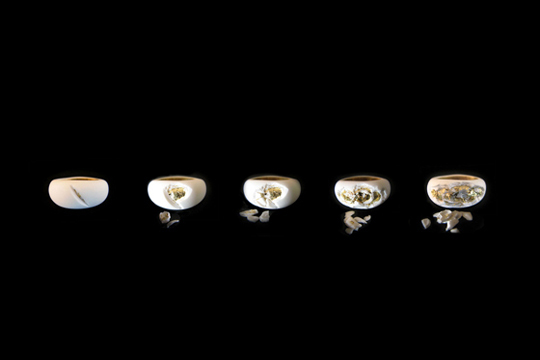 Oroko rings are made of millefeuille of polymer and gold leaf. As time passes, the layers wear according to the owners way of life, and reveal it's hidden treasure in a unique pattern.